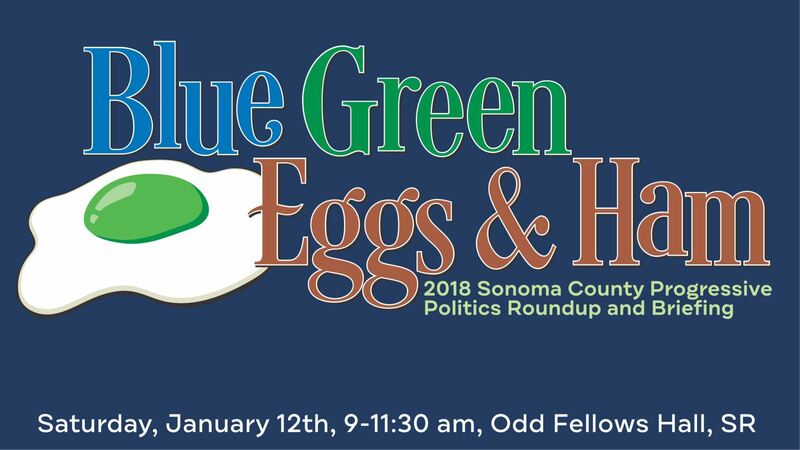 The Blue/Green Alliance invites you to join us Saturday morning, January 12th from 9:00 - 11:30am for breakfast along with a side of lively political panel discussions and Q&A sessions with candidates, campaign managers, pollsters, elected officials and political movers & shakers. Panelists will break down what happened locally during the 2018 election season and our next action steps to move forward. Brought to you by: North Bay Labor Council AFL-CIO, Sonoma County Conservation Action, Sonoma County Democratic Party, and Coalition for a Better Sonoma County. Bonus opportunity: On Saturday, January 12th, the Odd Fellows Hall will also be the site for the Assembly District 2 Delegate Elections for the Democratic Party from 11:00am-1pm. These delegates help set policy and endorse candidates for the next election cycle. Any registered Democrats living in AD2 (Assemblyman Jim Wood’s district – see map here) are encouraged to vote at this event on the same day as our event. US Congressman Jared Huffman, State Senator Mike McGuire and Assemblymember Jim Wood will be in attendance. is to better our quality of life in Sonoma County for all generations, through educating, directly engaging and organizing the grassroots public on local environmental issues and policies. Yes, sign me up for email updates. Thank you for your support, we look forward to you joining us on Saturday morning, January 12th!